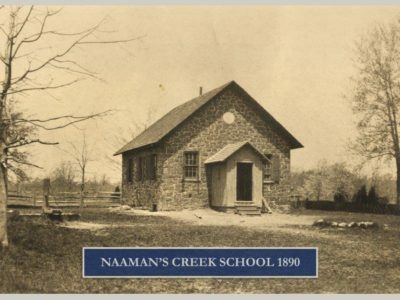 The Naaman’s Creek School, known to it’s community as the Claymont Stone School, is a two-room schoolhouse built in two main sections dated circa 1805 and 1905. The school is located on it’s original parcel at the corner of Darley Road and Philadelphia Pike. It was placed on the National Register of Historic Places in 1990. The Stone School operated from 1805 through 1925, then it was closed and a centralized school district was created. 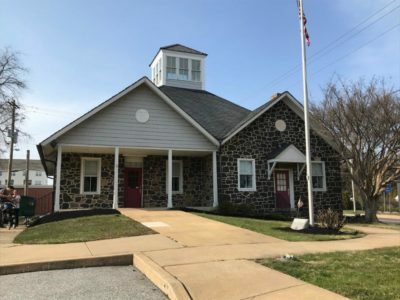 In 1931, the first Claymont Kindergarten started, and would continue until 1960. After it closed as a school, the Women’s Club of Claymont used the building for a community library until 1975. During the late 1940’s and early 1950’s, the Stone School served a dual purpose. To accommodate the fast-growing population, it reopened as a school for elementary classes, while still serving as the community library. New Castle County took over the library in 1975 until the building was vacated because of structural instability in the late 1980’s. 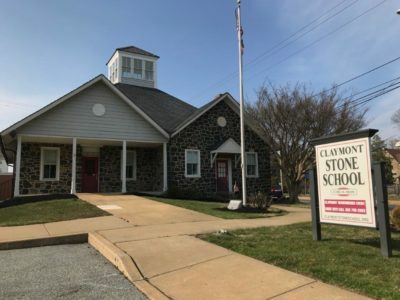 Friends of the Claymont Stone School, Inc. was formed in January, 1995. 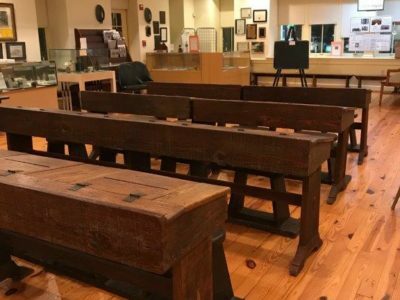 The organization’s mission was to save the historic Naaman’s Creek School from demolition, to provide the community with a museum documenting Claymont’s history, and to demonstrate the strong link between the community and the school.